Found 4 posts with the tag 'DotA'. Blog: Wow, DotA again! With golf clubs?! So... summer is coming (hopefully) and that means more outside less inside. Also unfortunately that means no more time to lead a guild in WoW, so our guild kinda fell apart . So instead I play Dota. Weee! Dota fits better since you can just play one hour then leave it at that, no need to spend 4-5 hours grinding instances gone bad. So DotA is one new time sink, the other one is Golf! I got clubs and everything and currently working on getting my official handicap. 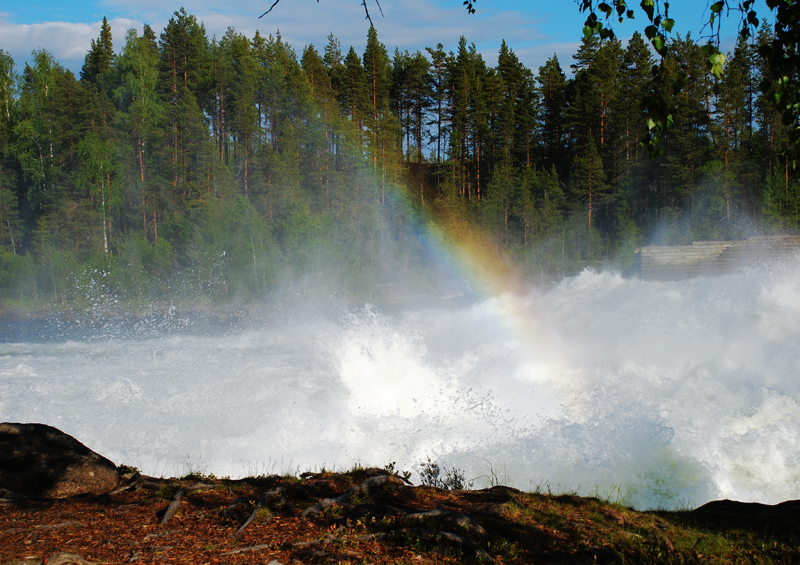 Was in storforsen this week and took some pictures of the rapids there. Below is one of the pictures, with a nice rainbow in there. There's more in the gallery. OOT: Out Of Town, not at home, and without my computer . I'll be working in Luleå for about 4 weeks, only comming home on the weekends, so don't expect much updating (or anything at all). So long and thanks for the fish. Tiny is a dude in DotA, a hero that's really small, but his ultimate skill is to grow. But, well, whatever, who cares? What you should care about is the new highscore panel to the right, where the top scorers in my games will be visible (only one game so far). Also, that game (combo!) had a tiny update to take away some cheating possibilities. There, I said tiny again, hmm, weird.